Looking to hold an event in Surrey, British Columbia? 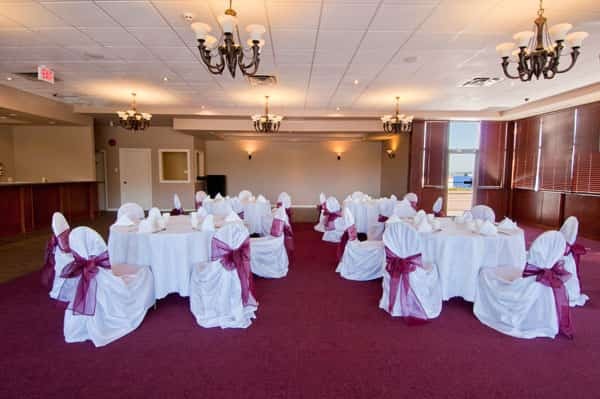 The Comfort Inn & Suites Surrey is the perfect location for events of all sizes! Whether it's for a birthday, retirement, milestone anniversary, corporate event, or weddings, we've got the right venue to make your special occasion a success! For small-mid sized events, we the Tynehead and Fraser rooms can accommodate 40-80 guests. Our Baker View Room can accommodate up to 200 guests, and features a built-in bar, dance floor, and DJ booth! And with an exceptional view of Mount Baker, you're event will have incredible scenery as a backdrop! Should your guests desire to spend the night, they’ll enjoy stylish modern accommodations at impressively low rates. Every one of our finely appointed rooms and suites features a plasma TV, pillow-top bed, premium linens, iPod-docking clock radio, free Wi-Fi and contemporary décor. We boast an exceptional and professional event planning team that can help you coordinate your special occasion with your loved ones. We’ll be here very step of the way to help you get all the details in place for an unforgettable event.